The nuances of online poker are what make the game so challenging to play. And with online poker tournaments starting all through the day, there is an abundance of prospects to enter. Of course, it pays off to sharpen your online poker strategy and to become a more difficult player for your opponents to beat. In poker, all it takes is one hand to seriously dent your stack and place you at risk of going out of the tournament. In this poker strategy guide, the focus is on how to use fold equity as a means of reversing your fortunes when playing with a short stack. Slots, slots, slots! 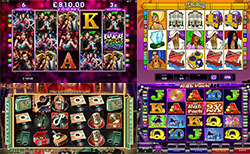 Online slots with the highest RTP payout the most. See our best payout slots online list with great online slots. Fold equity is a concept where you attempt to determine the likelihood of an opponent folding their hand in response to you betting or raising. The exact calculation of fold equity isn’t possible for players to figure out mid-game, as you would need to know the precise cards held by your opponent. Nevertheless, it shall be possible for advanced players to use their opponents’ actions when applying fold equity. For instance, you might notice that one of your opponents is willing to call small bets and raises, whereas they are likely to avoid higher amounts. What this tells is that your fold equity will diminish against that opponent if you don’t go high with your bets or raises. How Can You Apply Fold Equity? Let’s present an example where you are sixth and final chair at the table, holding a modest pair of 4s, and having witnessed two opponents fold and the other two call the big blind. The two folders have shown a pattern for folding without solid cards, while the two callers are willing to call on small amounts if they have nothing, but raising the stakes when they do. Although holding a pair of 4s, you could have pre-flop odds of 50% to win the pot. This is based on your read that the two callers are without a viable pair, but could be in possession of a strong face card, which is why they want to see the flop for a low cost. If your chances of winning are 50%, then your long-term pot equity would be £17.50 if the overall pot value is £35, based on £5 small blind, £10 big blind, and two £10 calls being made. For the next step, let’s say that you believe you can win 80% of hands by raising strongly when your opponents are perceived to hold viable hands. To calculate fold equity, you multiply the 80% perceived chance of winning by the 50% actual odds of winning and divide by 100 to give 40%. That 40% is added to your own 50% chances to give superior 90% fold equity, but this shall only apply if you ask the opponents to call a raise that places their entire bankroll in jeopardy.